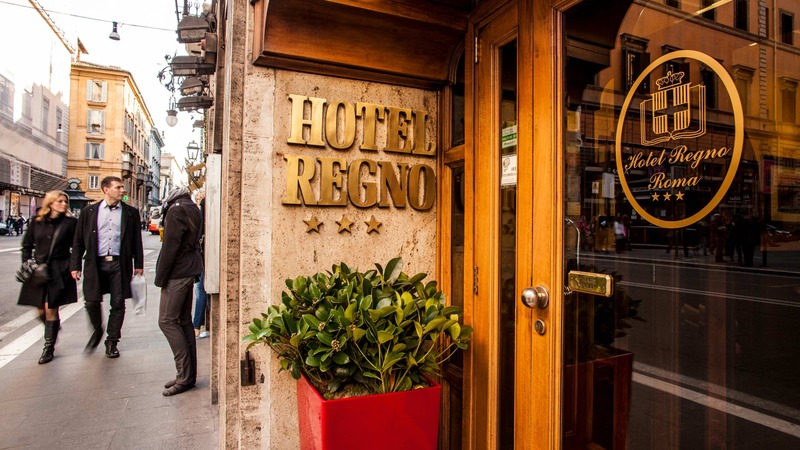 Hotel Regno, your residence in the heart of Rome, since 1933. 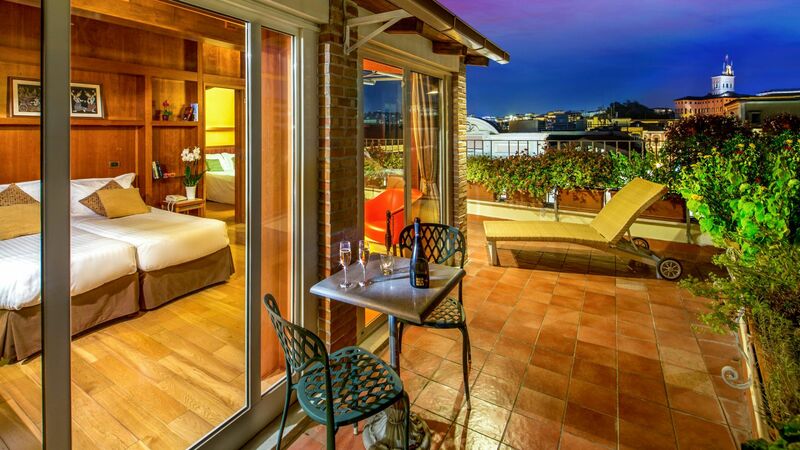 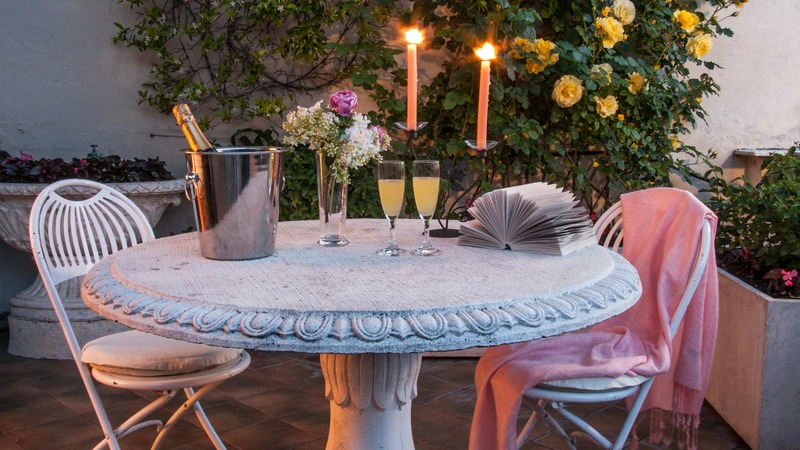 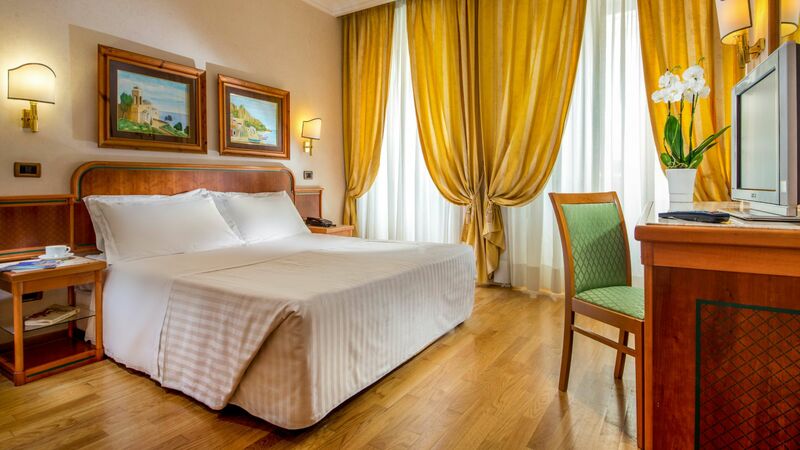 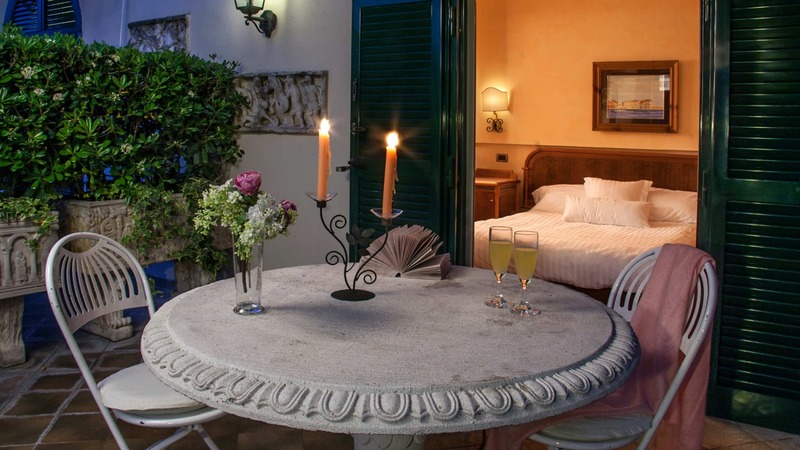 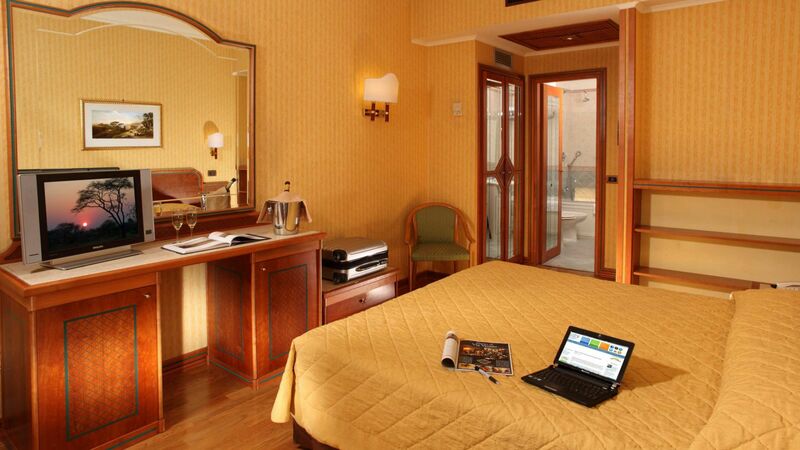 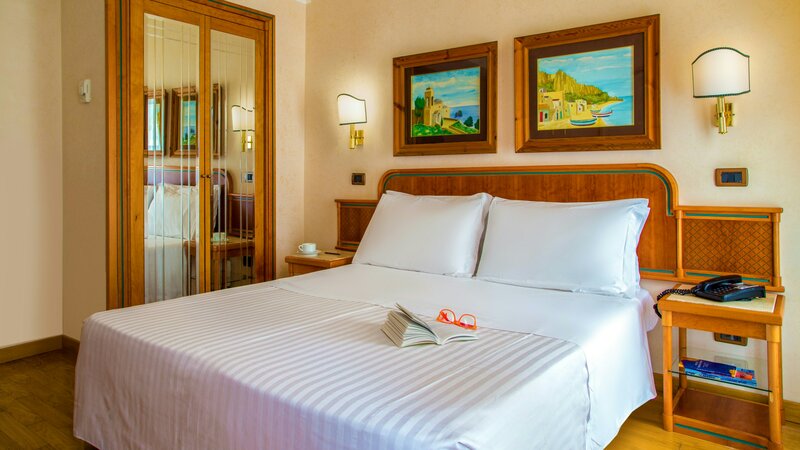 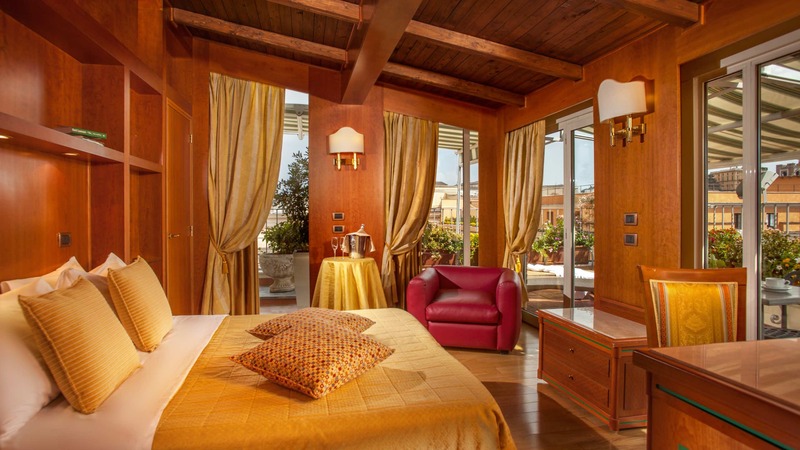 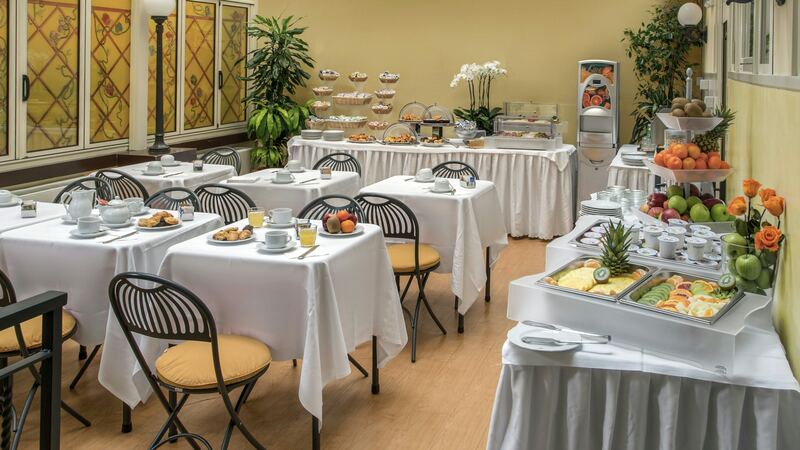 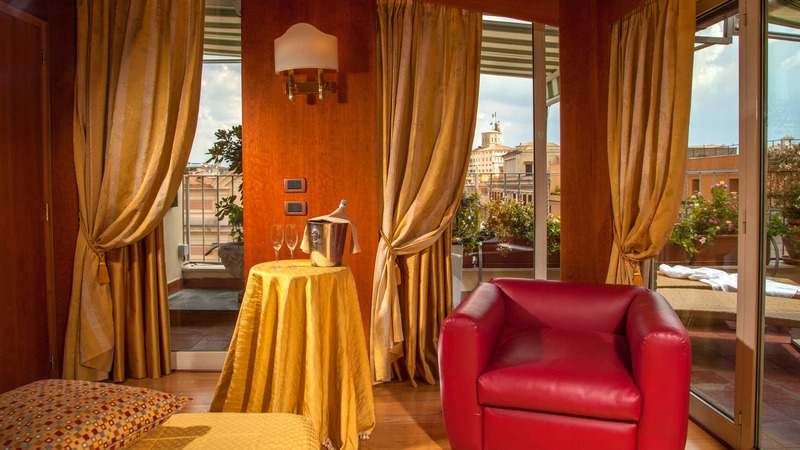 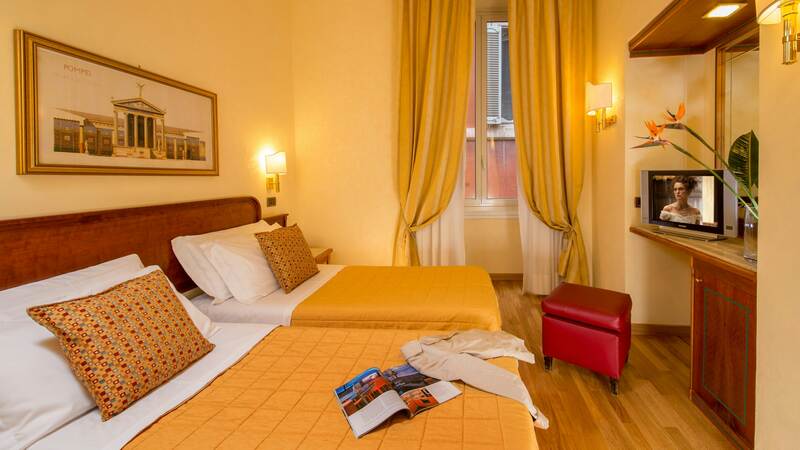 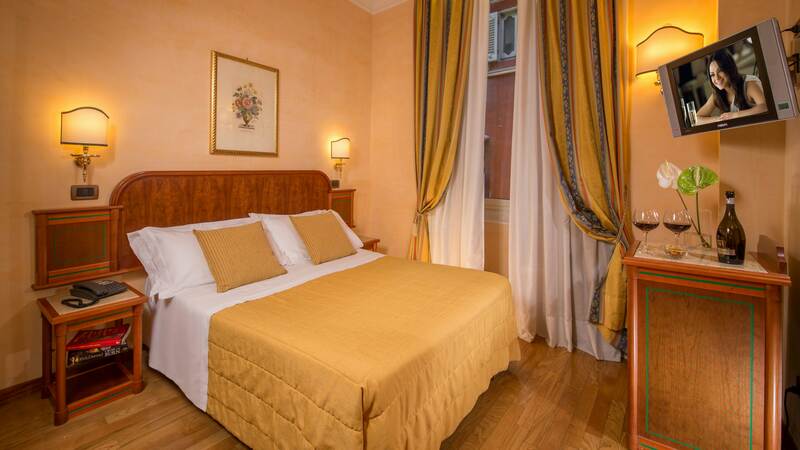 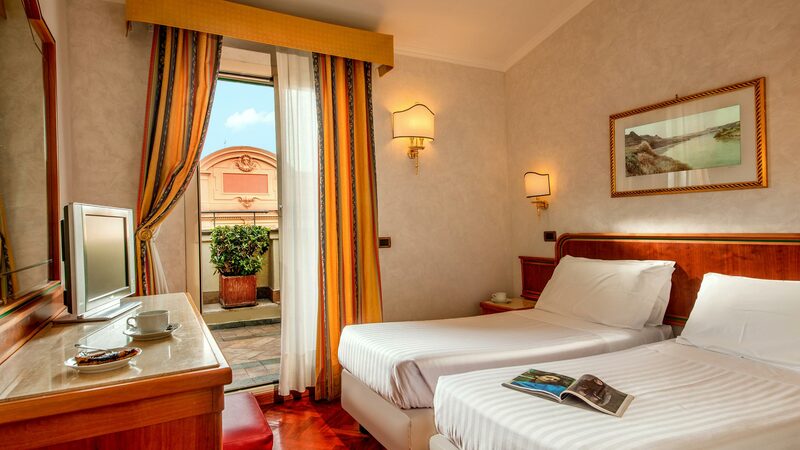 Welcome to Hotel Regno, 3-star hotel in Rome! 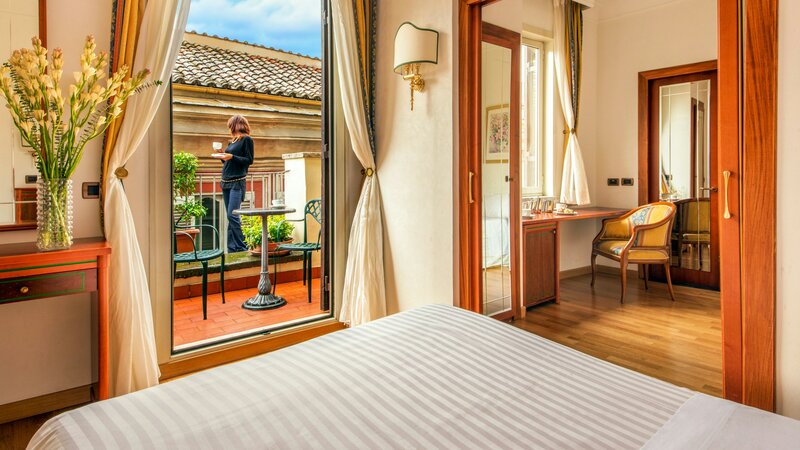 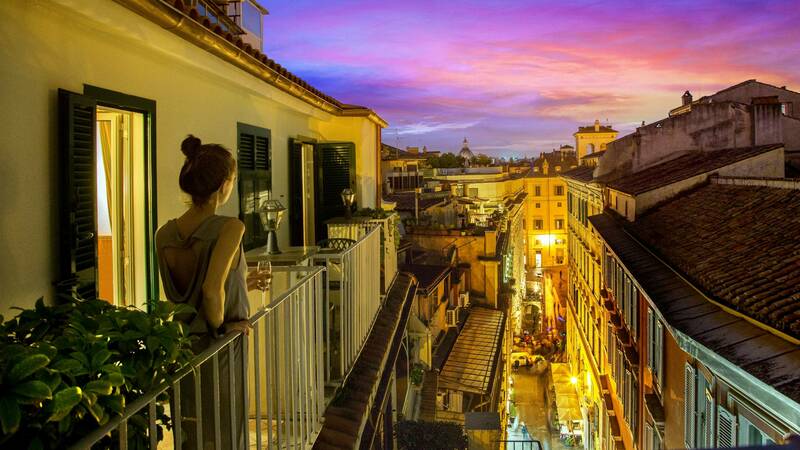 The hotel welcomes its guests in the beautiful 16th century building with splendid terraces overlooking the rooftops of Rome! 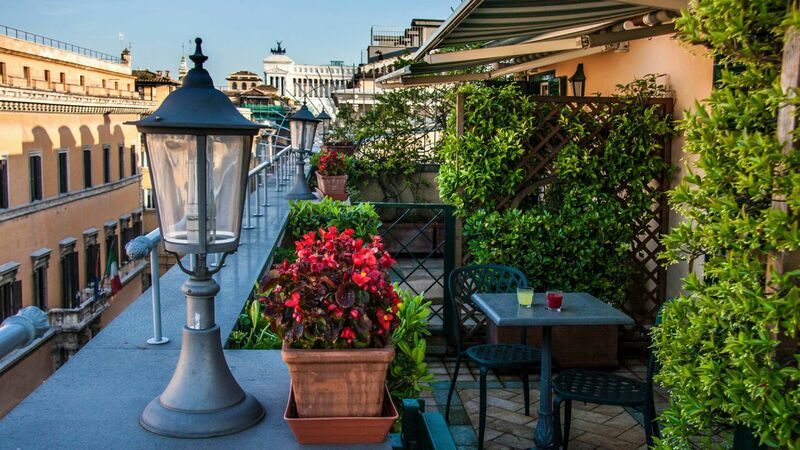 Ideal for visitors wishing to explore the secrets of the heart of Rome. 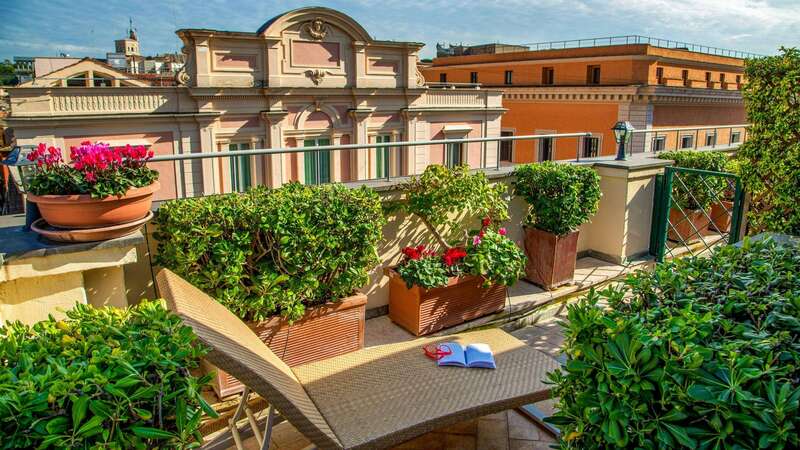 In a very central position and well served by public transports, you are within a few minutes walk from the most significant sites, such as Trevi Fountain and Spanish Steps. 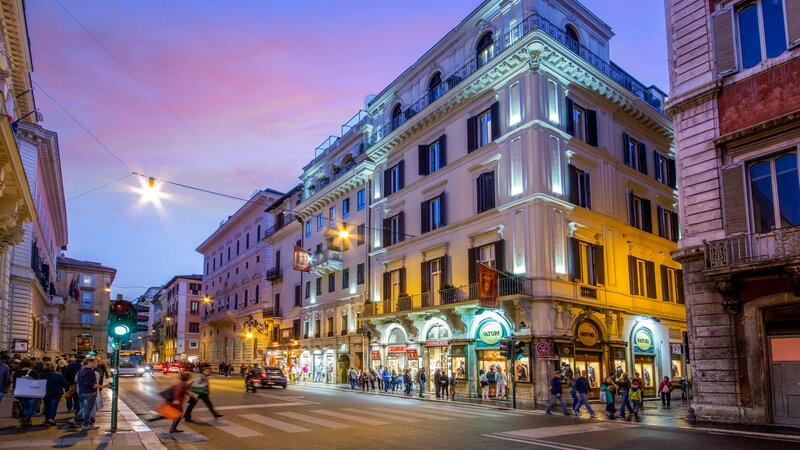 Watch the video of the passage of the Americans to Rome in 1944 that they cross via del Corso where our hotel is located.